That swelling is higher than the joint, so I’m going with at least a torn ligament. Looks damned painful, girlfriend. I’m sorry. Kate, I’m sorry to hear about your recent accident. I hope things improve soon. I’m going with sprain, but a very nasty one. Sorry it’s so bad. Make Gene wait on you hand and, er, foot. 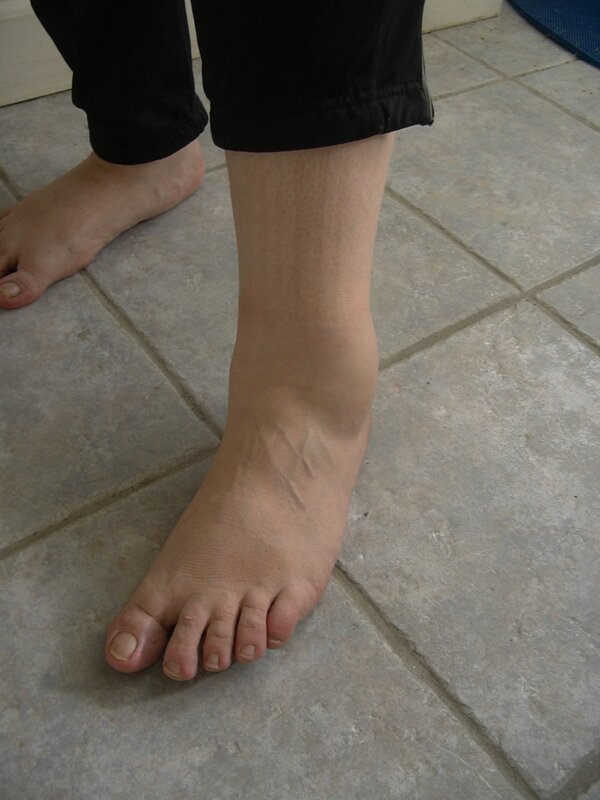 I’m just sick of the swelling and immobility. Gene has been very helpful, even with all the irritations of American health care (three stops to get a pair of crutches + the x-rays). So sorry to hear about this, Kate!! I make no claims to medical expertise so I can’t give you any kind of diagnosis…hopefully it’s not a full-fledged break though! Hope you heal soon. Thanks, everybody. Your sympathy is a balm. I think you need to have Bill Frist, MD(HMS grad) examine these photos, in order to make a proper diagnosis! I’d sooner have a peg leg. Bad enough to have an HMS doctor — but an evil Rebiblican like him, ick! Ouchie!! Way, way worse the sprain I had.Get better soon! You should see it today — a whole new range of colors! Thanks for the kind wishes. Frist (R-Tenn.), appearing on three network TV shows, agreed with the conclusion that the Albany woman had not suffered severe brain damage. “I never, never, on the floor of the Senate, made a diagnosis, nor would I ever do that,” he told NBC’s “Today” show. 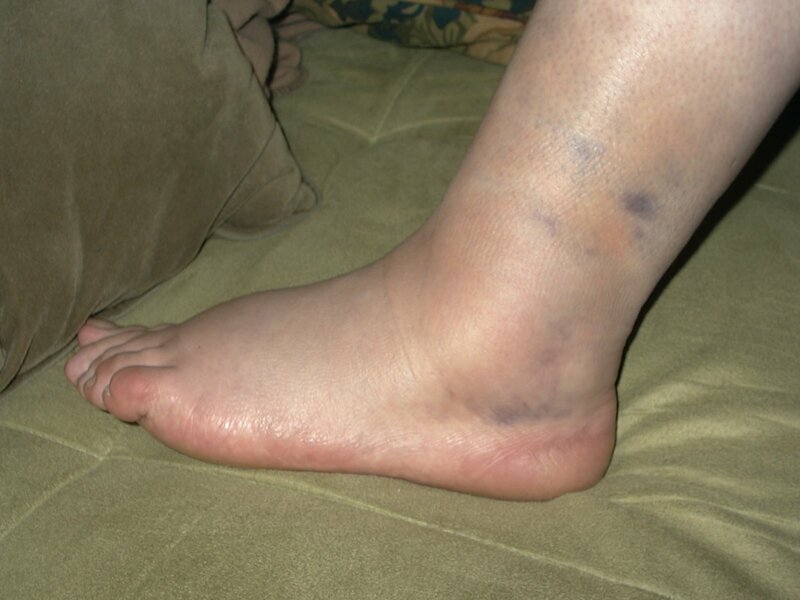 Yuk- looks like a bad sprain. Didja get drugs? It’s all about the drugs. Oh, and RICE.Nice gam, though.